The first British experiments with a different armament from the usual two RCMGs were with large cannon. Between the wars a variety of installations for the 37mm COW gun appeared, mainly in the form of flexible nose mountings in multi-engined aircraft, either for self-defence or for anti-shipping use. Two were apparently proposed for the huge Handley Page V/1500 bomber and among many other fruitless schemes were those in 1927 for heavy three-seat fighters, carrying two flexible COW guns, and a projected development of the 1931 Vickers C. 16/28 bomber-transport to produce a 'Battleplane1 armed with three COW guns as well as machine guns. The gun did see service, however, in the Blackburn Perth. An intriguing application was in the two single-engined, single-seat fighters built to Specification F29/27, which appeared in 1931: the Westland and Vickers COW Gun Fighters. These revived the First World War concept of upward-firing fixed cannon. 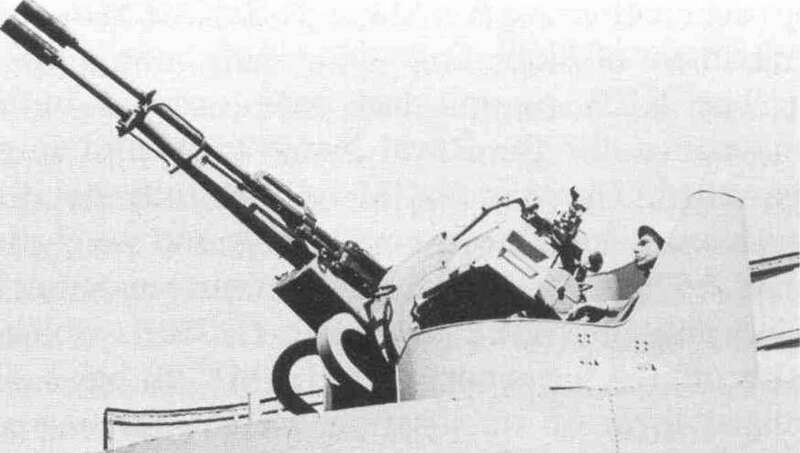 In both cases, the gun was fitted alongside the cockpit to fire upwards at 55° for use against bombers (an idea to re-emerge to great effect in the Second World War in both Japanese and German night-fighters). The Vickers was a pusher biplane, the Westland a more modern-looking low-wing monoplane, but the Vickers had fifty rounds in special oversize clips while the Westland had a thirty-nine-round rotary dispenser mechanism from which the pilot had to push each round by hand. The RAF lost interest and neither went into production. Schemes to use the COW gun continued into the late 1930s, the last on record being anti-submarine applications in the Blenheim 1 and the Sunderland, one of the projects for the latter involving two guns firing vertically downwards through the hull via watertight doors. The only practical use they saw in the Second World War was as airfield defence weapons.